When 18-year old Kelsey Smith was abducted from a Target store in Overland Park, Kan. In 2007, her parents tried to get her cell phone provider to track her down by locating her phone. The provider, Verizon Wireless, eventually did so, but only after four days of bureaucratic wrangling. By then, it was too late: Kelsey was found dead in a wooded area in neighboring Missouri. “After Verizon finally did the right thing and sent an engineer to the tower that Kelsey’s phone last made contact with, Kelsey’s body was found in 45 minutes,” said Missy Smith, Kelsey’s mother. Smith and her husband, Greg, appeared before a House division Feb. 19 to testify in support of a bill designed to help prevent similar tragedies in Minnesota. Sponsored by Rep. Sheldon Johnson (DFL-St. Paul), HF2639 would require cell phone companies to work with law enforcement to track down missing persons who are believed to be in imminent danger. The House Telecommunications Regulation and Infrastructure Division approved the bill and referred it to the House Commerce and Labor Committee. Currently, federal law states that cell phone providers may disclose information on customers’ call locations to law enforcement agencies in situations where the person is believed to be at risk of death or serious personal harm. Johnson said the bill would make this a requirement. To address privacy concerns, Johnson said information on users’ call history or the content of phone conversations would not be disclosed. Bob Bass, president of AT&T Minnesota, said his company supports the bill, and already has a “state-of-the-art system” to help law enforcement locate cell phone users in emergencies. “We can triangulate your location within 50 to 100 meters,” Bass said. Lobbyists representing Verizon and Sprint also testified in support of the bill. 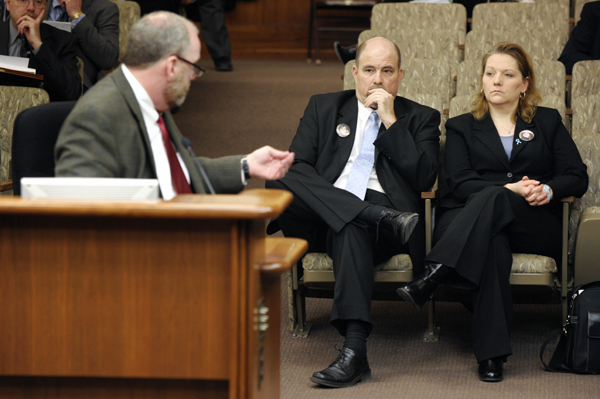 A companion, SF2470, sponsored by Sen. Yvonne Prettner Solon (DFL-Duluth), awaits action by the Senate Judiciary Committee. Figures and statistics on crime in Minnesota.